Egyptian Chronicles: Cohen Can return back to Hassan and Marcus but honestly for what !!? There is a huge debate in Egypt after the Statements of Freedom and Justice Vice chairman and leading member of the Muslim brotherhood Essam El Arian on Thursday about Egyptian Jews. Now this is kind of ironic because with all the mocking and attack Mohamed ElBaradei has been enduring since he spoke with Deir Spiegel and mentioned that some of the constituent assembly are holocaust deniers !! Up till now the Muslim brotherhood members as Islamists mock the man and yet they do not dare to speak about El Arian’s statement with all their hate to Jews. Back to Dr. El Arian , well it seems that he truly believes Egyptian Jews should return to Egypt. I found for him an old interview from 6 months ago with Ahmed Adam on Al Hayat TV channel. Amazingly El Arian believes that Buddha can be a prophet from God !! ElBaradei is also mocked by MB for speaking about Buddhists as an example in his talk about religious freedom in constitution !! It is black comedy when you think about it !! Anyhow now the trouble that these statements will cause inside the brotherhood that used to attack the Jews by name in its slogans as well in Egypt in this particular time , Mahmoud Ghozlan , the spokesperson of the MB said that everyone in the brotherhood is speaking on behalf of himself and not th brotherhood !! 1- Yesterday leading MB member and FJP official Hamdy Hassan repeated what El Arian said on Thursday defending and even raised the bar and said there was no problem in compensating them now on Dream TV2 Channel !! You are speaking about hundreds of billions of pounds when you refer back to nationalization compensations whether for Jews or foreigners or Christians or Muslims in time your foreign reserve hit rock bottom !!!!!!!!!!!!!!!!!!!!!!!! 2- Essam El Arian is not your usual MB or FJP official. Not only a leading member , he was the head of the foreign affairs in the last People’s assembly and he is currently the leader of the majority and Freedom and Justice Party bloc in the Senates council or Shura council !! In nutshell El Arian is not the village idiot in the brotherhoodville ! !Of course it was worth to mention that above all El Arian is President Morsi’s adviser !! Ironically some MB members and supporters who are trying to justify everything by their leaders are claiming that this is a wicked game by the MB to attract rich Egyptian Jews in order to invest in Egypt !!! I wish Egypt returns as tolerant and cosmopolitan as before but Dr. El Arian and Dr. Hassan forgot to tell us to what shall the Egyptian Jews return !? Return to religious intolerance and bad economic situation !!? Return to a new dictatorship in making through laws where media is controlled and protests are not allowed !?? Return to the Sheikhs who consider as Muslims who do not share the political beliefs are infidels !?? For God sake some of the Muslim brotherhood supporters are claiming now online that the Egyptian Christians are the ones behind the terrible economic crisis Egypt because they withdrew their bank accounts !! Shall I remind you how Khairat El Shater , the strong man of the Muslim brotherhood and the commander of both El Arian and Hassan attacked Christians in Egypt from couple of weeks ago following the Presidential Palace clashes !!? Many Egyptian Christian families are now packing their bags in order to leave the country for fear of future and repression under Islamist rule. In fact Muslim Egyptians now do not hesitate to leave the country searching for better life unfortunately !! Again back to the statements that were received by a storm of anger and astonishment in Egypt. 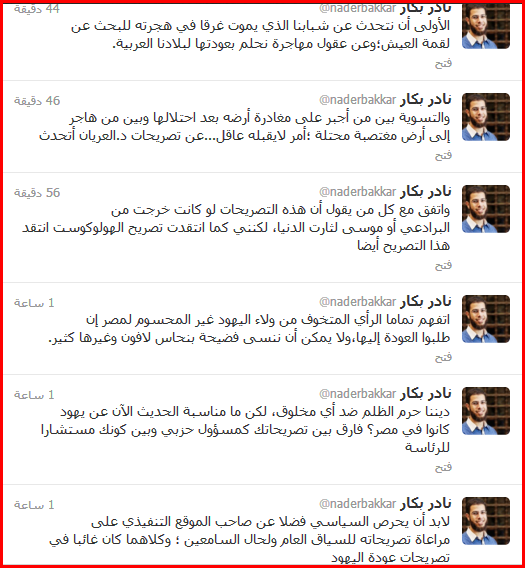 Nationalists especially Nasserites are extremely furious for the attack on Nasser once again by the Muslim brotherhood. 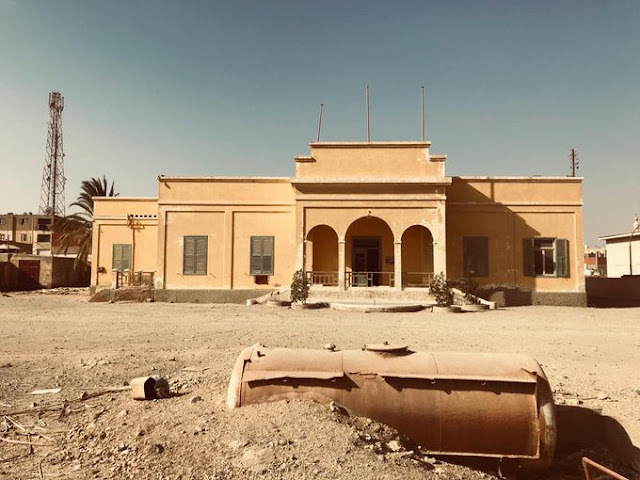 From their side the Nationalists are reminding the brotherhood’s leaders with their past attacks against Egyptian Jews’ ghettos before Nasser would come to rule. Liberals who believe that Egyptian Jews should not have left Egypt are amazing on the double standards of the brotherhood that attacks Christians from couple of weeks to speak about Egyptian Jews. Let alone how the local talk of the brotherhood among the its members is anti-Semitic by Western standards. 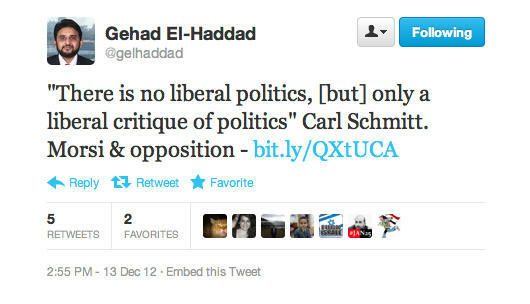 Early this month Gehad El Haddad , the MB and FJP media advisor and spokesperson to Western media was quoting Nazi theorist Carl Schmitt for God sake !! 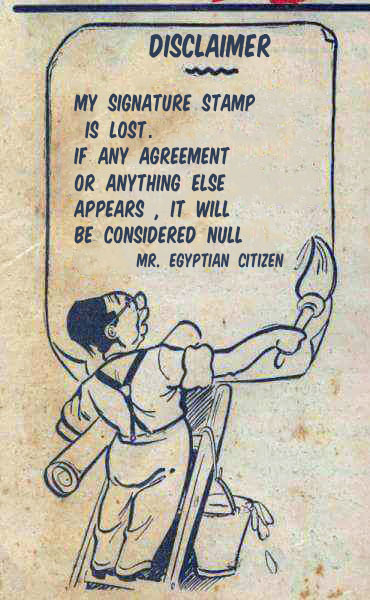 Of course some people began to draw some sort of conspiracy as usual from both Hassan and El Arian’s statements.People even began to link these statements with an incident that took place in October 2012 when the security forces in the airport stopped an attempt to smuggle historical documents related to Egyptian Jews’ properties in Egypt.People began to have wild conspiracies for real like Gamal Zahran , the former MP. The call of MB’s El Arian to Israeli Jews to return back to Egypt is the price of that diabolic deal with the military , the US and Israel.Have you forgotten how the Seven “NGO workers” Americans were smuggled and how McCain thanked El Shater!?? Some believe that it is a pathetic attempt by El Arian and the brotherhood to look nice and tolerant in front of Western Media. Dr. Rabab El Mahdi believes so on her Facebook account today. I do not know why there is a lot of controversy about Dr. El Arian’s statements about Jews. The talk was not addressed to us in Egypt or even to the Jews , the talk was directed to foreign media. The doctor is trying to appear cute. Just leave him alone. 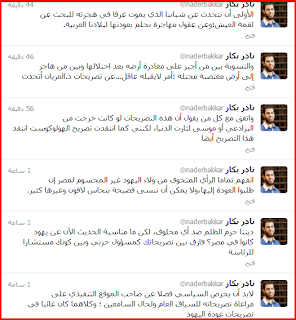 Even Salafists are amazed like Nadar Bakkar who criticized El Arian on his twitter account. I really respect Bakkar’s consistency with his Salafist views to be honest. It is better to speak about our youth who die drowned in the sea searching for a better living.It is unfair to equalize between those who were forced to leave their land after it was occupied and those who moved to occupied land. I am speaking about Dr. El Arian’s statements. I agree with those who say that if these statements came from ElBaradei or Moses , the world will be upside down but I criticize these statements in the same way I criticized the Holocaust statement “of ElBaradei”. I totally understand the opinion worried about the Jews disputed loyalty to Egypt if they demand to return back. 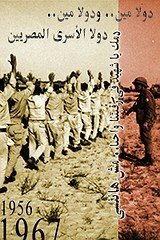 We can not forget the Lavon affair and other issues “ A Nader Bakkar’s true moment !!”. Our religion prohibits injustice against any creature but what is the occasion to speak about the Jews who were in Egypt !? There is a difference between your statements as partisan official and being an advisor for presidency. The politician should be careful for what he said and its impact , the return of Jews statements lack this !! The debate about the Egyptian Jews’ return has not and will not stopped yet in Egypt.Nevertheless while I am writing this , I imagine what would happen if Egyptian Jews from Israel, France and Brazil decided to return back to Egypt after all those years and I feel it will be extremely interesting. Post Title : Inspired by famous 1940s play of Naguib El Rihany “Hassan , Marcus and Cohen”. On the occasion of the new year and these statements here is the play as presented in early 60s starring legendary Adel Khairy as poor worker who got sick from his employers the greedy Hassan , Marcus and Cohen !! what ever you say mr aleryan is totally intelligible!.good effort,i could not do it,it must be the most difficult statement anyone can make.it is in the same league as saying:i am the ruler in the name of god,against the infidels and the jews,follow me my brother muslims,aha , but wait a minute my followers,i think i have to pay our dues to the jews,before exterminating them,thus ,in front of god,we cannot say that we have withheld the rights of other people,we have given them their rights,therefore,we are not responsible for what happens to them afterwards. sounds like the nazis giving the jews the choice between working in camps so that they can get their freedom(coming to egypt),or getting tortured(attacked by the palesteninans),which amounted to the same thing,as they died in both cases.what a choice!. Nobody who is of sound mind can seriously believe that any Jew would even think about returning to an Egypt that is governed by Sharia'a and religious zealots. AND of course we will NOT return any land to the Palestinians. You said it as it is! Egypt of Hassan, Morcos and Kohen is gone and will not come back in your life time. Egypt has been culturally colonized by eastern hordes of petro-dollar holders and their narrow view of humanity. They imposed their religious ideology all the way to the daily wear of men and women. How come all the Muslims in these movies and historical pictures do not have women with hijab/niquab or men with zabibah? As if Saad Zaglool was not a good muslim because he did not have a zabibah or Jinah Khan was not jealous about islam because his wife did not wear hijab..... Say good bye to Egypt Om el Donia and welcome Egypt the colony of Qatar and friends. Another dynasty in the long history of Egypt. Your concern for democratic rights for people is admirable but also naive, especially because of the culture you are part of. For example, you write of yourself, "I am just Egyptian girl who lives in the present with the glories of the past and hopes in a better future for herself and for her country". What glories of the past do you speak of? I don't mean to be rude. I mean only to be entirely objective with you. If you mean the Pyramids, that indeed IS great but that is NOT a product of the Egyptian people as constituted today. If you can point to an Egyptian who got the Noble prize, then maybe you can begin to find glory in that, Sadat's prize notwithstanding because that was purely political, as was, say obama's (who deserves nothing). I do not mean to minimze your abilities in Egypt, but the CULTURE in the end determines how the people will flourish. Your culture is Islamic. That is more a culture of death than it is for FREEDOM and GOD-GIVEN rights. Islam divides the world into muslims and infidels, seeing the former as superior to the latter. Even in the best of times, Jews in Moslim countries would always have to watch their backs, and certainly their accomplishments. When Israel enjoyed "peace" with Egypt under Mubarak, it could only be temporary. Mubarak assassinated Sadat and it was only a matter of time until either miserable poverty or militant disorder would replace him too. We knew and felt the "peace" with Egypt wasn't worth the paper it was signed on. Not only do Muslims regard non-Muslims inferior, but those who oppose their brand of islam also are hated. 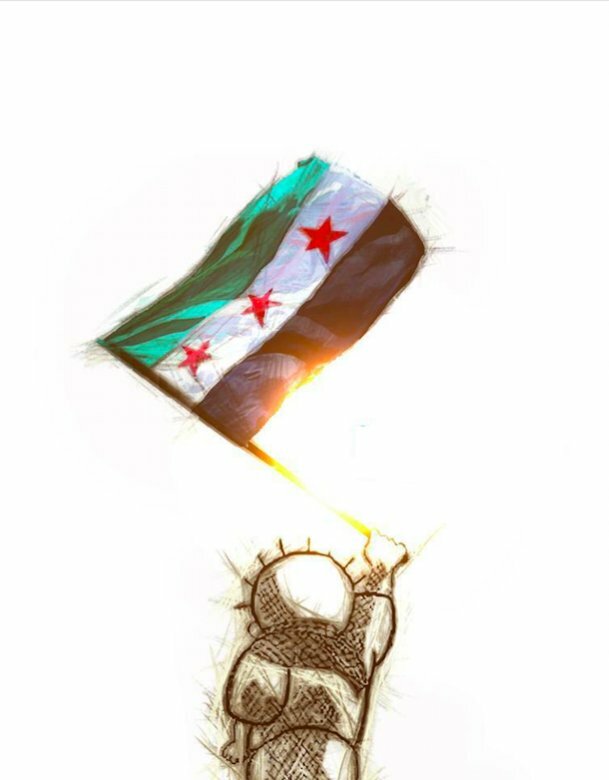 The cruelty that one Muslim can bring upon his brother, as Syrians do today to one another, is amazingly incredible. I won't print links here to the cruelty because it is extremely nauseating, yet they carry this out like they were drinking coffee. I do not mean just killing the foe; I mean horrible torture, mutilation and gruesome murder. One bullet just is never enough. The head must come off, the mother must watch, the streets are given exhibits, children are abused, etc. Now if this a Muslim does to another, and by the way each side does so with the alla akbar declaration, then imagine what they would like to do to non-Muslims. Just see what christians have to go through just to be left alone in Egypt or ANY MUSLIM country. The prospects for a glorious Egypt, peace and prosperity that you wish for, is purely a dream, but a most unrealistic one I'm afraid. That's not to say there is no hope for a glorious future for the world - but it certainly cannot derive from a culture of death and denigration inherent in islam. what you refer to is not real Islam.. it is the bad side of human nature.. religion holds no bearing in this. muslims get attacked in the USA everyday by christians. a man in new york recently got pushed/killed in front of a moviing train and the woman said she did it because he was a muslim or hindu. I can tell you know nothing of true Islam. you shouldnt talk about that which you dont know. You cannot paint islam Nice. It is a religion of death and destruction. It discourages creativity, ingenuity or technological accomplishments. Show me ONE country of islamic nature that thrives. In fact, show me ONE person, among the billions, who contributed to the world. You can laud your religion all you want, but your bias will not change the facts, much as you are prone to deny them. What - if anything can make you proud of islam? Wake up and smell the falafel! I am a great admirer of you blog. I saw this storm about Arian statements and you helps me to understand, like in many other instances, what is about. And i saw great deal of anti-semitism unleashed after this in supposedly liberal egyptian pages, and i have a question for you: it this story http://www.alwafd.org/%D8%A7%D9%84%D8%B5%D9%81%D8%AD%D8%A9-%D8%A7%D9%84%D8%A7%D8%AE%D9%8A%D8%B1%D8%A9/342779-%D8%A3%D8%AD%D8%AF-%D8%A3%D8%A8%D9%86%D8%A7%D8%A1-%D9%85%D8%A8%D8%A7%D8%B1%D9%83-%D9%8A%D9%81%D9%83-%D8%B4%D9%81%D8%B1%D8%A9-%D8%A7%D8%B9%D9%84%D8%A7%D9%86-%D9%81%D8%B1%D9%8A%D8%B3%D9%83%D8%A7 serious or am i stupid? and if i am not who the hell those 700 thousands mubarak sons and famous doctor arais? In our days many men have lived in this cruel manner, crushed against the bottom, but each for a relatively short period; so that we can perhaps ask ourselves if it is necessary or good to retain any memory of this exceptional human state.To this question we feel that we have to reply in the affirmative. We are in fact convinced that no human experience is without meaning or unworthy of analysis, and that fundamental values, even if they are not positive, can be deduced from this particular world which we are describing. We would also like to consider that it was pre-eminently a gigantic biological and social experiment.Thousands of individuals, differing in age, condition, origin, language, culture and customs are enclosed within barbed wire: there they live a regular, controlled life which is identical for all and inadequate to all needs, and which is much more rigorous than any experimenter could have set up to establish what is essential and what adventitious to the conduct of the human animal in the struggle for life.We do not believe in the most obvious and facile deduction: that man is fundamentally brutal, egoistic and stupid in his conduct once every civilized institution is taken away, and that the Häftling is consequently nothing but a man without inhibitions. We believe, rather, that the only conclusion to be drawn is that in the face of driving necessity and physical disabilities many social habits and instincts are reduced to silence. Sometimes I imagined how everything looked above those clouds, knowing without question that the sun was blond, and the endless atmosphere was a giant blue eye. Arutz Sheva reports that Essam El Arian has resigned.